Five years after demolition of Migron, former residents still waiting for replacement neighborhood to be approved. Five years after their eviction, some 350 former residents of the town of Migron in Samaria are still waiting for the Netanyahu government to fulfill its 2012 promise of building a replacement neighborhood. 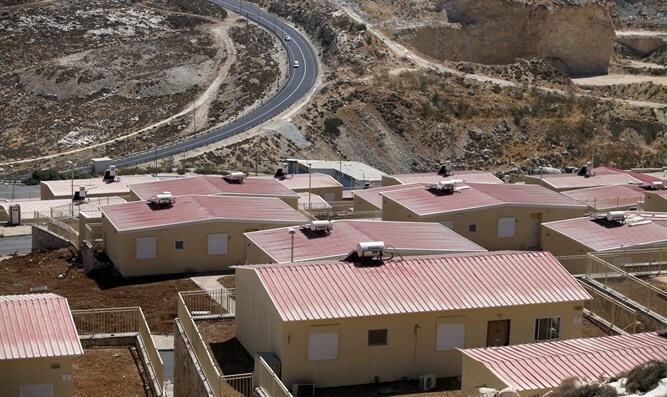 In 2012, the government pledged to relocate the residents of Migron, then slated for demolition, to temporary housing while a new neighborhood, Givat Hayekev, was built next to the existing town of Kochav Yaakov, north of Jerusalem in Samaria. Over the past five years, Migron evictees, representatives of the evictees, and the Binyamin Regional Council have pressured bureaucrats for approval of the new neighborhood, thus clearing the way for construction to be begin. While Givat Hayekev has cleared most of the bureaucratic hurdles, one final permit has yet to be secured for the neighborhood’s urban development plan. Two months ago, deliberations on the neighborhood were pushed off by the urban planning committee, though approval of Givat Hayekev is expected to be discussed next month. As the future of the 52 families evicted from Migron remains unclear, a number of ministers and MKs have called upon the Prime Minister to secure approval for the replacement neighborhood and fulfill his government’s promise to residents.